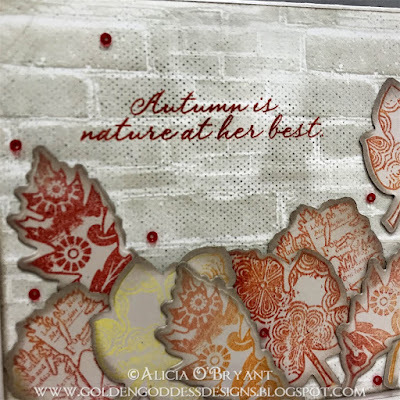 Blog Quick Quotes: Autumn Card Inspiration with Alicia! 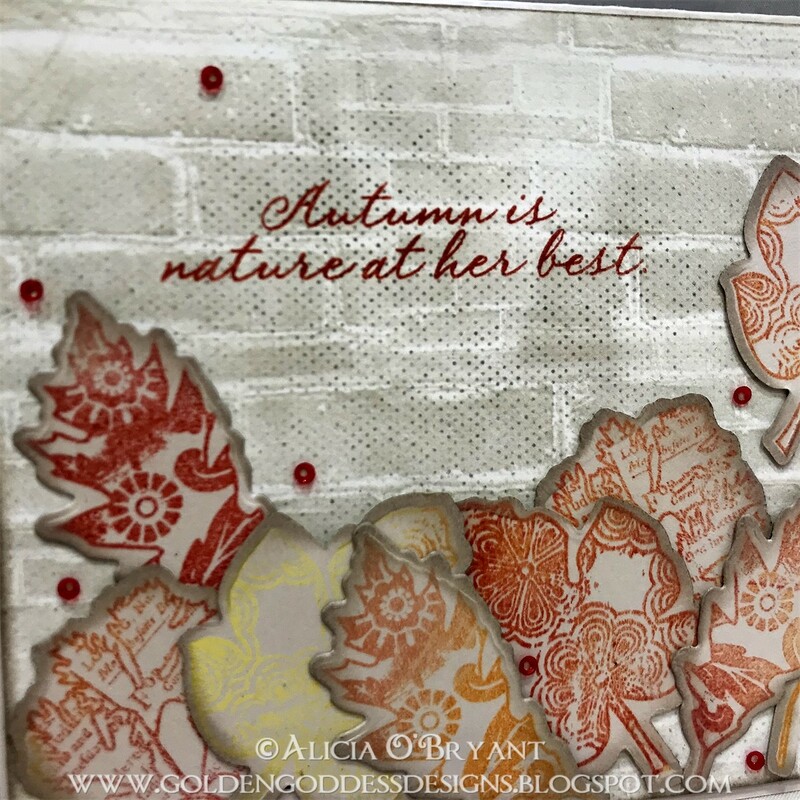 Autumn Card Inspiration with Alicia! Hello, Alicia here and I have some fall inspiration for you today. I picked Harmony 101 for a background paper. 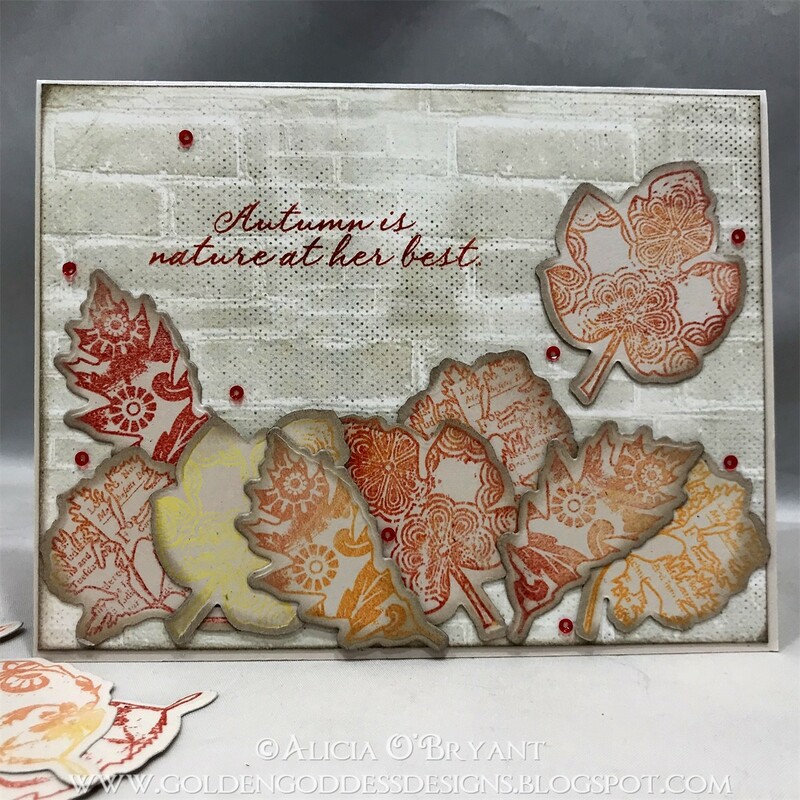 I created several ombre stamped leaves and spread across the brick background I cut just a quarter inch smaller than the A2 card. I inked the edges of all the pieces with Warm Gray PowderPuff Chalk Ink. Creating the leaves was super fun. 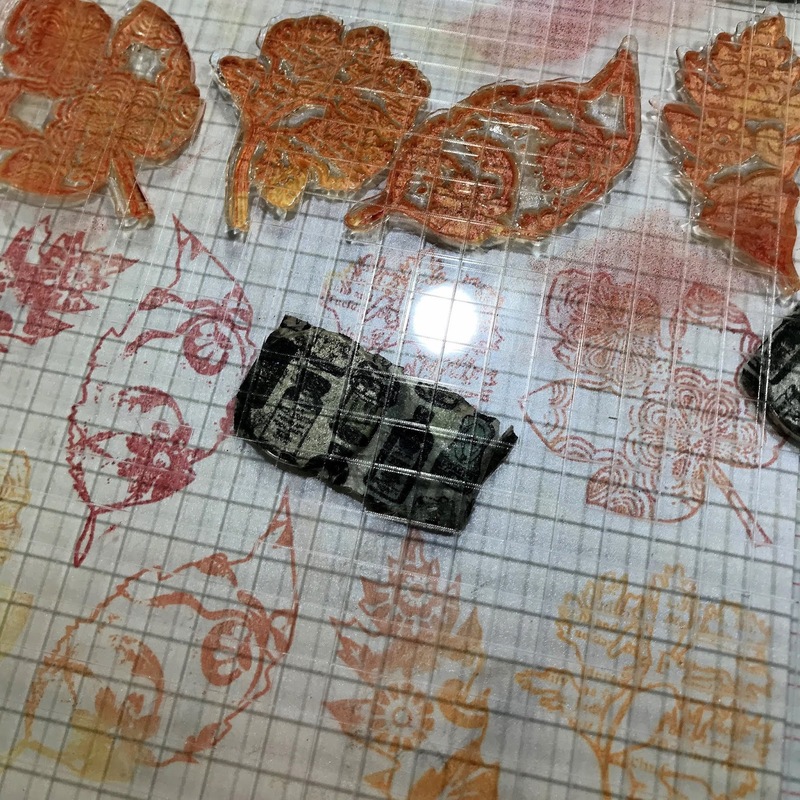 I began with the lightest color of ink Lemon Sorbet and stamped randomly on the clear stamps using my stamping platform. I graduated the colors lightest to darkest among the four stamps which I stamped multiple times before die cutting. I stamped my sentiment in Barn Board PowderPuff Chalk Ink using my MISTI. I stamped three times to insure a solid image. My final step was sprinkling sequins among the leaves.